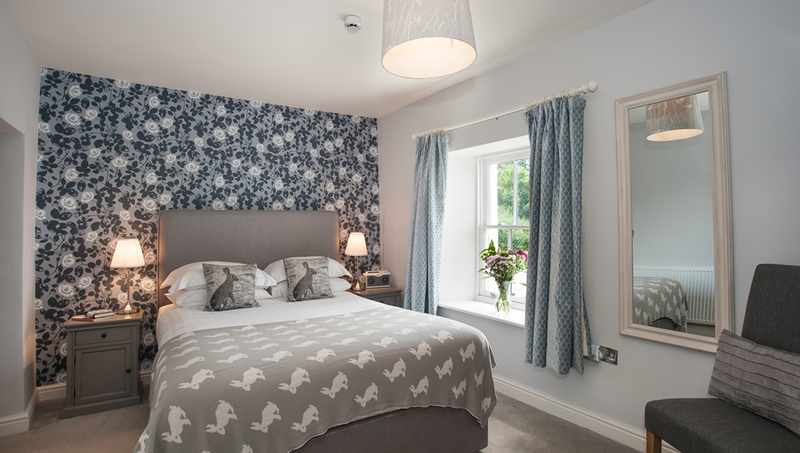 We have five wonderful rooms, all individually styled and full of character. 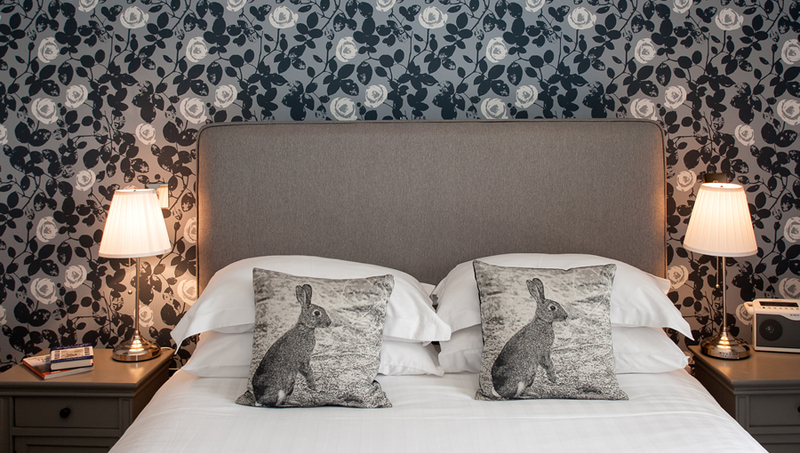 Our beds are dreamy, our carpets are so thick your toes will sink right into them and our bathrooms are sparkling. 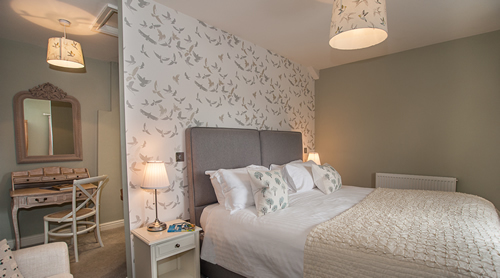 This is a peaceful king-size room in lovely calming colours, on the first floor, with a view over to Whitbarrow Scar. Its bathroom has a bath and a big walk-in shower. Rates are for the room for one night including breakfast. 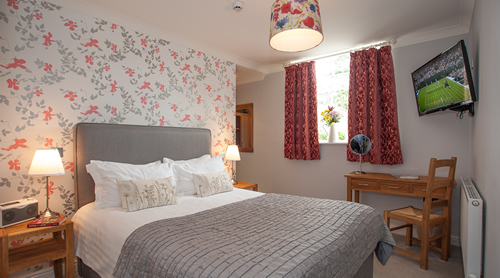 This is a light, bright bedroom with a roomy king-size bed, on the top floor of the pub with large window overlooking the village. It has a lovely spacious bathroom complete with a big walk-in shower, but no bath. 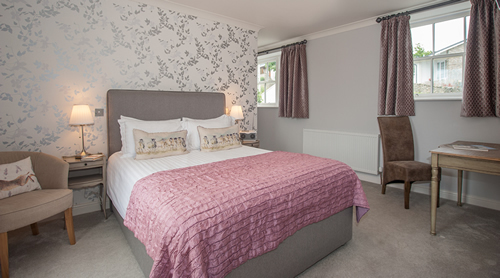 This is a great spacious room with a vast super-king bed which can be made up as a twin if you like. 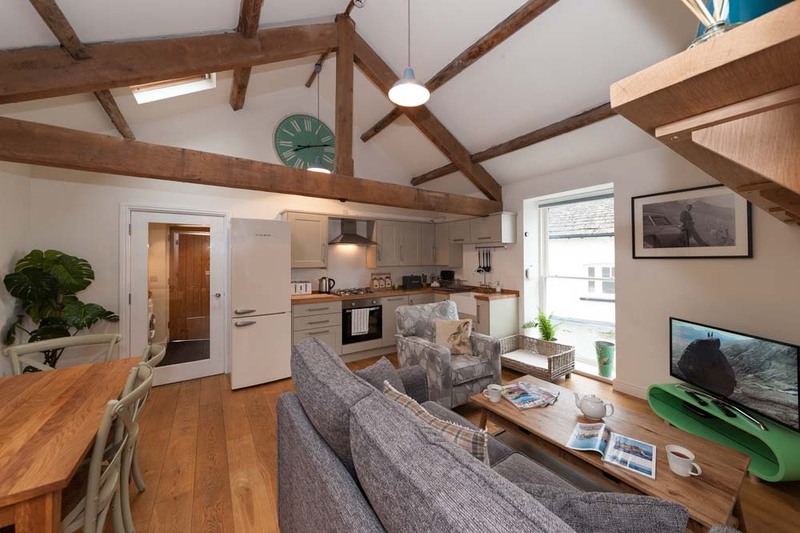 It has views over Arnside Knott and a bathroom with a lovely big walk-in shower, but no bath. 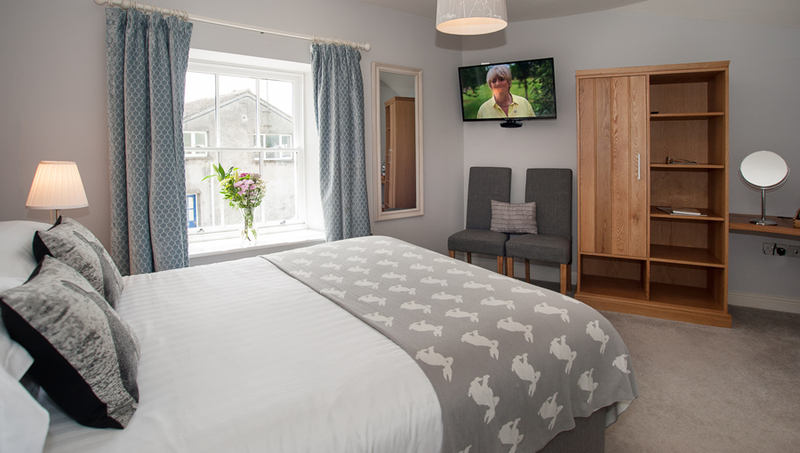 This is a wonderful spacious room with a king-size bed and lovely views over the Lyth Valley. 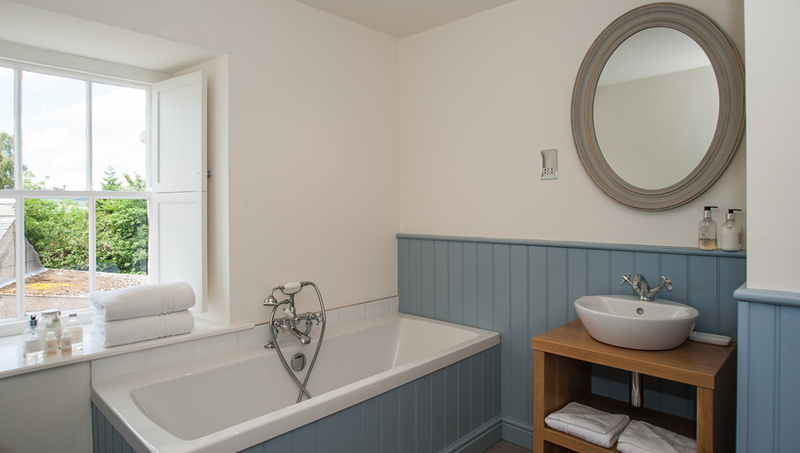 It has a lovely bathroom with freestanding bath and a big walk-in shower.